1. Which of these animals is a mammal? 2. Why do horseshoe crabs migrate? 3. 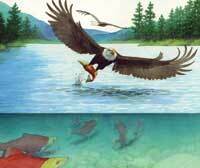 Which of these birds has a summer nesting ground in the Arctic? 4. 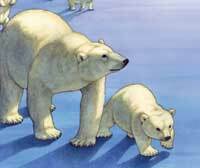 Why do polar bears journey across the ice every winter? 5. What kind of animal is a butterfly? 6. Which of these mammals lives in the ocean? 7. 7Why do Brazilian free-tailed bats fly south in the winter? 8. 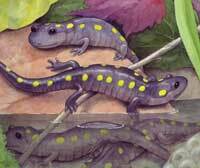 What kind of animal is the spotted salamander? 9. 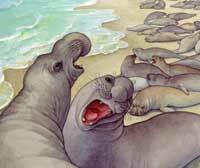 9Why do northern elephant seals come ashore in the late spring and early summer? 10. Which of these birds spends their winters in the rainforests of South Africa?